scene to clear all the tecno’s and the likes. 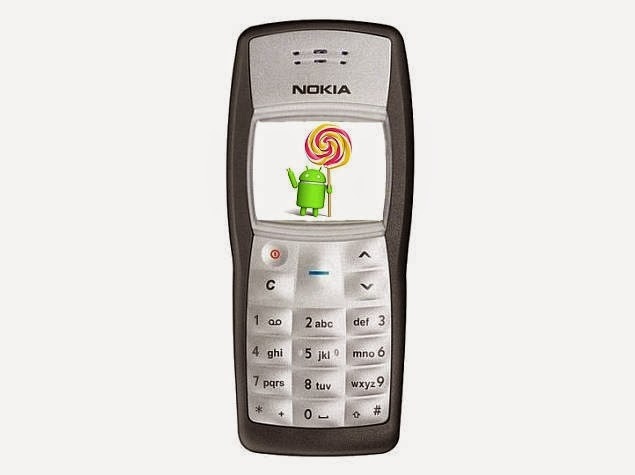 Nokia fans, tweakers and device rockers, will you rock this Re-branded Nokia Android 1100? Who uses 2 inch phone anymore? Nokia phone designers didn't separate the chaff from weed b4 smoking. Nokia is just waking up from their slumber when all other teco brand has gone beyond the moon. Lol. Its not the same Nokia 1100. Its just a code name for the device. Probably something different tho. Let met just say that it's just Nokia touch in Android version. Good for those who want to buy Nokia touch. So it's better that the other Nokia touch. But the price will determine if people will buy it or ignore it.